The human resources department oversees a number of functions within the organization, including recruitment, training, policy development, staff care, monitoring certain policies and even handling disputes. In addition, the human resource department must keep company employees updated on certain laws, such as gender laws, work safety and discrimination. Therefore, it is essential that all human resource managers and employees are well trained and fully competent for the job. 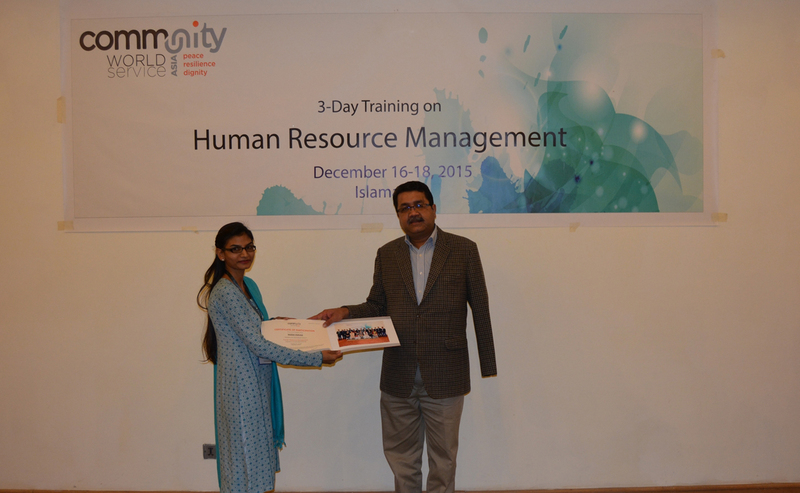 Nazeef Pervaiz, Senior Program Officer at Mojaz Foundation attended the Human Resource Management (HRM) Training organized by Community World Service Asia in December last year. The training aimed to further improve organizational policies and minimize communication gaps existing between the employers and the employees. Nazeef joined Mojaz Foundation after graduating in February 2015. She was hired as an Executive in the Micro Finance Project. Nazeef was quite interested in managing human resource, and upon discovering the need of Human Resource Management in the organization she stepped forward to take the job up and set up a human resource department and develop policies and HR related material for Mojaz. Having limited HR related academic knowledge of the development sector, Nazeef faced some challenges initially. The processes and functions of the development sector HR systems were mostly new to her as her HR experience had been in the corporate sector only. At that time, Nazeef was directly reporting to the CEO of Mojaz as there as there was no dedicated manager to report. “In the session of Building Organizational Culture, I learnt that there should be a document which builds a clear understanding of the cultural environment followed in the organization. For that reason, I developed a document, namely Dos and Don’ts, for our internal staff. It states what is expected from the employee of the organization from dress codes to employee performance. This brief document will provide knowledge to employees on how best to fit in the organization’s culture.” Nazeef also added that the element of uninformed employees was decreased after the development of the handbook. The handbook is available to employees at all times and Nazeef has planned to provide hard copies of the handbook to all staff in the future as well. The employee relationship and coordination has improved immensely since the training. The revision of documentation and development of new manuals and documentations has lessened the communication gap. Employee turnover has decreased and staff now approach the human resource department for clarifications on HR processes. “An organization cannot build a good team of working professionals without good Human Resources. 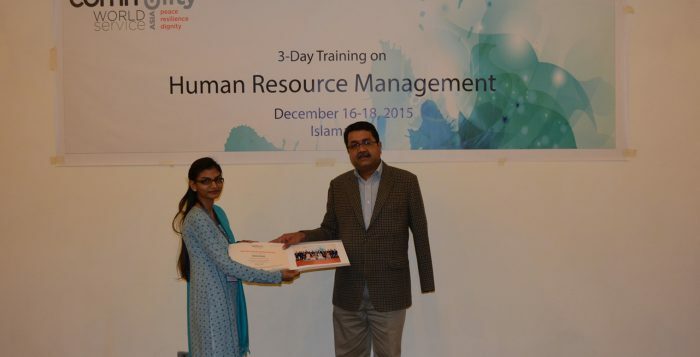 And for this, trainings like these should be conducted to set up a strong and effective Human Resource Management,” Nazeef concluded.